A Suzuki Equator was delivered last Thursday. What is a Suzuki Equator you ask? 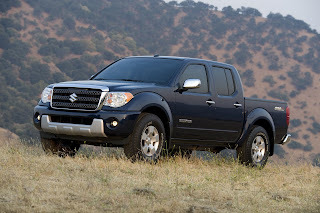 Suzuki's first foray into pickup truck land, a rebadged Nissan Frontier. I got a Equator RMZ crew cab, 4WD, V6. What is an RMZ? I know it relates to Suzuki's motorcycles but other than that, well you'll have to ask a two-wheeler. For once I actually had use for a pickup - a dump run was called for. I didn't actually test the Equator's max load capacity but it handled my measly load just fine. Funny thing about mini-trucks, they have now become mid-size. I say funny in a couple of ways. For years we suffered through Detroits, "bigger is better" philosoply. The Japanese came along and showed us that small was fine. Then in the blink of an eye Japanese mini-trucks became mid-size. Just when mini would have been a blessing. How many of you out there would love to be able to buy a mini-truck today? Prices are decent and comparable to other Japanese trucks in this range - from a low of $17,200 to a fully equipped at $30,600. Nice truck. Hey buddy, got a company I can run into the ground for you? Automotive News just reported that GMAC's CEO was paid $11.6 million in 2008. Considering the shape GMAC is in, and considering the shape it's two owners, Cerebus and GM, are in this is simply outrageous. But being a helpful sort I am willing to offer my services to any company out there - FOR A MERE MILLION PER YEAR I WILL RUN YOUR COMPANY INTO BANKRUPTCY. NO NEED TO PAY EXORBITANT SALARIES TO OVERPRICED, INCOMPETENT CEOs WHEN YOU CAN HAVE ME FOR SO MUCH LESS! Got a '09 Audi 3.2 delivered yesterday. I have a love/hate relationship with German cars. I love the way they drive - sure-footed, superb handling, etc - but the interior controls drive me crazy. The controls may be intuitive to someone but not me. Any time I have to take my eyes off the road to adjust the sound system, well it just shouldn't happen. Case in point, the seat heaters. I leave for work early in the morning and it's been chilly this week. So as I'm driving down the street I scanned the controls for the seat heater. Aha, there's the little icon! I pushed it and the center, multi-purpose screen displayed a dial. Quick, what do I do next? My mind raced and then it hit me, that knob on the center console just below the shifter. I felt about until my fingers found it and before I could give it a twist, the screen went back to audio. I never did get the seat heater turned on. I have a couple of older cars, and while they lack many of the ammentities of modern cars, the controls they have are much easier to use. Three levers for the heater - one for temperature, one for mode (defrost, floor, and off), and one for fan speed. Once you know the controls you never have to look at the levers to make it work. Oh yeah one other thing, the price. $50,000? For something the size of a Honda Accord? Maybe it will grow on me over the weekend. I see that General Motors has disbanded its High Performance Vehicles Operations. I understand that now is not the time for building high performance cars, cars that may have a "halo" effect but do not contribute much to the bottom line. I do question why the engineers would be reassigned. Why not leave them in place and give them an even more important task, like designing vehicles to make GM a world leader once again? In theory (and probably practice) the employees in the High Performance Vehicles Operations are the best, brightest, and most highly motivated. Who better to come up with the vehicles to show the world that GM is still a force to be reckoned with? This decision tells me that Rick Wagoner, the head honcho at GM, still doesn't get it. Rick, this is a new century. In fact we're already one decade into the new century and GM is still thinking like it always has. Blow off the corporate layers that have made the yet to be seen Volt the longest gestating vehicle in recent history. It's time for a new General Motors Rick, one that can be innovative and a leader once again. The fun cars just keep on coming! This week I'm driving an '09 Honda Fit Sport. Yeah it's a little funky looking but isn't that part of its charm? It seems to me (I haven't checked the specs yet) that the new Fit has a bit more grunt to it, which means I didn't have to row through the gear box as vigorously. Pleasant little car that gets great fuel mileage - on a trip to Sonoma County and back the Fit averaged - AVERAGED - just barely under 40 mpg. Great car for those of us on a tight budget but who don't want to give up fun. There are some new pictures from this year's San Francisco Rod, Custom and Motorcycle Show if you click on "Bruce Hotchkiss' Photos" in the upper left side, then click on '09 SF Rod, Custom and Motorcylce Show. Hey! Wednesday I got a really nice little commute car, a 2009 Suzuki SX4 Sedan. It's a return to sanity - it seems to have just about everything I need, the important things I want, all wrapped up in a neat, attractive package. I've only been driving it for two days now and so far there's only one thing I really wish I could change - the power windows. The driver's window has an "auto down" but no "auto up." I have to pay a toll on my daily commute and it may be a small thing, but it would be so much nicer to have a one-touch up feature. “DETROIT -- General Motors product czar and often colorful spokesman, Bob Lutz, will retire at the end of this year. “Lutz, 76, is currently GM's vice chairman of global product development. In a statement on GM's Website, the company said Lutz will become a vice chairman and senior advisor on April 1. It is about time. Lutz is a dinosaur who has to take at least part of the blame for GM’s slide. Under Lutz’s watch we have seen too many wrong-place, wrong-time vehicles drive off the GM assembly line. And his comments denying that global warming might in any way be related to mankind, well they helped confirm the suspicion by many that GM just didn’t care. Lutz was once quoted as saying something to the effect that “the young guys” in the company urged him in a certain direction. For Lutz, I am a young guy – and I’m almost 60. No wonder GM builds good cars for older people – for them, any under 60 is young! I guess I shouldn’t be so hard on Lutz but he kind of brings it on himself. He, like others at GM, is so damn arrogant. At an event I attended about a year ago, Lutz answered some pointed questions from one journalist about perceived shortcomings of the Pontiac Solstice with sarcasm and putdowns of the journalist. This seems to be typical GM fare. I remember many years ago at a press event for the (I think) ’85 Corvette with then Corvette head honcho Dave McLellan, asking him about the difficulty in shifting the then in use manual transmission. I referenced the famous Muncie M22 “rock crusher” favorably in comparison to the 4+3 speed manual used from ’84 to ’88 (I think these years are correct). Mr. McLellan’s response was to ridicule my memory of how quickly transmissions could be shifted back in the ‘60s and ‘70s. Ridicule didn’t answer the question then and it doesn’t now either. The point? The point is that GM is a great company that is being directed by men left over from a different era. It is time GM moved into the current century, it is time they put someone in the top spots who will start to view the world as it is instead of how they wish it were. GM, and other domestic auto makers, stated flat out that they cannot make money selling small cars. With that attitude it is no wonder. It is time for a different paradigm, one that does not see small cars as an answer only until consumers come to their senses and start buying big again. Lutz spent a lot of time at the press event slamming Toyota, going on and on about how Toyota loses money on every hybrid they sell. Maybe if GM stopped worrying about Toyota and actually studied how they have become the world’s largest auto company they would not be in the shape they are today. Whoever the next GM product czar is they need to turn the telescope around and stop looking into the past. The future is in front of us and even I, an old fart at the best of times, can see that muscle cars and SUVs are fast becoming irrelevant. They picked up the CR-V this morning and dropped off a Mazda CX-9, a cross over. I just moved it in the parking lot so I can't tell you too much about it other than it seems huge compared to the CR-V. I'm looking forward to my week in the CX-9 and I'll keep you posted. My article for the Pacifica Tribune next week will feature a cool '37 Chevrolet pickup from Pacifica and the CR-V. Pick up your copy next Wednesday, February 11, 2009. Woo-hoo! I got a press car! Just delivered is a '09 Honda CR-V 4WD. I haven't even seen it yet, it's down in the parking lot. This is insane, I feel like a little kid at Christmas. Thank you Santa (STI Fleet Services and American Honda). I will write more after I've driven the CR-V a day or two. Still no press car. Sigh ... but who can be depressed after such a monumental day yesterday? As a child growing up in the '50s, watching the civil rights marches on TV, reading about all that is wrong with our country, it was so uplifting to see our nation embrace a black man. I don't care where you stand on the political spectrum, it was a special day. I'm still driving my great '86 Celica. I have no idea what I would be driving if I had not been lucky enough to find this car. The best $400 I ever spent! Here we are in the depths of winter (yeah right, it was in the 70s last week), which really means it is time for some car shows - the San Francisco Rod, Custom & Motorcycle Show to be exact. The dates are Friday, February 20th through Sunday, February 22nd. The doors open at noon Friday, and 9:00 a.m. Saturday and Sunday. Tickets top out at $18 a head, seniors and military get in for $16, and kids 9-15 for $8.00, andthose under 8 are free with an adult. 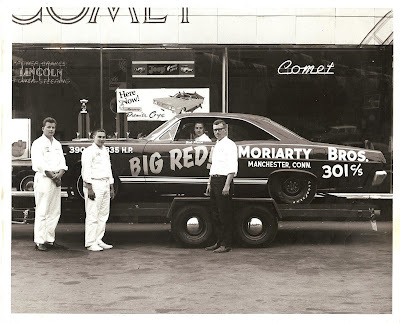 Hot rodding is a wonderful hobby and it can include the whole family. Although the cars and bikes you'll see at the show cost plenty to build, building a rod or custom at home doesn't have to be a budget breaker. If you have the room, get a project car and fiddle with it every night. Have fun. Go to www.sfcustomshow.com for more info. I usually go for the opening Friday, and then back again on Sunday to view the crowds. If you see me just say "hi." You'll know me, I'll be the gray-haired, somewhat overweight, white guy. And who knows, maybe I'll even have a press car by then. Still no press car but here's an update anyway. Nadine and I went to see “Gran Torino” on Saturday the 27th. We both enjoyed the movie, unlike L.A. Times automotive critic Dan Neil, who somehow ties the whole current mess in Detroit to a 1972 Ford Gran Torino. In Mr. Neil’s words, “You could prowl vintage car shows for years and not find an automobile that, in its malign typicality, better summarizes Detroit's fall than the 1972 Gran Torino.” Hindsight is twenty-twenty, and in hindsight the ’72 Fords were far from great but really, “malign typicality”? Why pick on Clint Eastwood’s character, Walt Kowalski, for his choice of a car to cherish? Obviously Walt is a Ford fan – he work at a Ford factory for over thirty years. I once worked with a guy who was proud of his brand new 1976 Plymouth Volare Road Runner, which in my opinion was one of the dumbest cars on the face of the earth. But who am I to decide what he should like? After all, I’ve made a few bad choices in my life. Mr. Neil, an award winning journalist, finds many things to dislike about the Gran Torino (the car, not the movie, which he barely mentions). Criticizing a car from 1972 for not being modern is like criticizing a Big Mac because it’s not a Morton’s steak. Tying Detroit’s current problems to the vehicles built almost forty years ago is a giant leap. Lumping all the domestic car companies together is ludicrous. There is a huge difference between Chrysler, Ford, and General Motors. In my opinion Ford is no were near the company they were in 1972 when they were run by Henry Ford II (The Deuce) and Lee Iacocca. Yes Ford still makes some missteps but of all the domestics, they are the most able to rebound. Chrysler and General Motors, although they suffer from poor management decisions, both build vehicles that are light years ahead of the crap they used to crank out. Dan Neil went to see a movie about a man and reviewed a car. Maybe art is what the individual makes of it. Nadine and I saw a movie about a man, a man somewhat lost in time, a man who looked back on what were for him “the good old days.” I don’t know if “Gran Torino” was a great movie or not; it was entertaining and it told a story of redemption. No a 1972 Gran Torino was not a great car but it was Walt Kowalski’s pride and joy, and a symbol of his life. Take it for what it is, not what Dan Neil sees in it. Okay these are not what I'm driving this week. I'm still in my trusty Celica but three articles of mine were just posted over at http://www.autowire.net/ - Saab 9-3 Convertible, VW Tiguan, and Jaguar XF. Check them out at the link to your left. Wednesday I bade farewell to the XC70 and climbed into my trusty '86 Toyota Celica. Although the Celica has its shortcomings I don't feel sad about having to drive it - it is reliable, relatively comfortably, and economical. This is good because I will most likely be driving the Celica for a month or so. Many auto writers will be cursing the fact that they don't have a new car, especially for the holidays. Not me. Instead I feel thankful for the cars I have been priviliged to drive over the past year. Is it over, will the car companies cut off access to all except the really big outlets? I doubt it but there is always that chance. I am not worried. So for now I'll drive my Celica and focus on the things that really matter - loved ones, family, and friends. Merry Christmas to all, and may you all be safe in the coming year. Tomorrow ends my run of new cars for this year, and it looks like it may be a long time before I get into another new car. The car companies are cutting back on their fleets of press cars, reviewers from small outlets are at the bottom of the list for loans, and even then the companies want one review for each car lent. This seems very short-sighted to me but they didn't ask my opinion. Even in my primary outlet, the Pacifica Tribune, an ad the size of my column (a third to half page) would cost a couple of grand at least. Reviews are cheap advertising. But like I said, they didn't ask me and it is their product. At least I went out with a nice car, a 2009 Volvo XC70 T6 AWD. I like the XC70 a little better than the XC90; it's more car-like. Volvo uses a inline 3.0-liter, 6-cylinder, DOHC engine that puts out 281 hp and 295 lbs-ft of torque. This is a very nice engine technically - it is actually shorter than the 5-cylinder! The only downside is that it is only rated at 22-mpg highway, a figure I was barely able to equal. Okay, maybe it isn't so terrible for a car that weighs 4092 lbs and has all-wheel-drive, and now that gas is down under two bucks a gallon, but I'm still operating under the four buck a gallon mentality. The bad weather started today (12-16-2008), at least by California standards, and everyone was driving erratically. It felt good to be in a car known for its sure-footedness and safety. With the economy in a tailspin I'm not sure how many XC70s Volvo will be selling. It would seem to me that the market for $40,000 cars may be limited - too "middle class" to appeal to the uber-wealthy, and too rich to appeal to the middle class right now. With options the XC70 I am driving hits $47,000, kind of pricey. Don't get me wrong, I think Volvo builds some of the safest - both passive and active - cars available anywhere. There is nothing better to take the family to grandma's for the holidays. It's just that right now not too many of us will be travelling anywhere. Merry Christmas too all. Please be safe and warm, spend what you can, enjoy what you have. Just in the nick of time I got a Chrysler product that I like. I was on the verge of being labeled anti-Chrysler, then a 2008 Dodge Avenger R/T AWD was delivered. Although I've only had it for one day I am generally impressed with the Avenger. It seems to be well put together, handles decently, rides okay (it is a "sport" model so the ride is a bit stiff), and everything works well. The 3.5-liter V6 has ample power, the 6-speed auto shifts well, and the fuel economy rating is decent at 24-mpg highway. So far the only nit I can pick is that the seats are too stiff. I sit on them instead of in them. I could do without the AWD part as I'm sure the economy would be a bit better with just FWD. The price is a bit steep at $31,975 but seeing as this is pretty well loaded I guess it isn't too bad. I am sure you can broker a better deal at any Dodge dealer. To replace the Sebring I got a 2009 Nissan Titan 4X4 SE dual fluel (gasoline/ethanol) pickup. I loved the Titan when it was introduced and I still think it is one of the best pickups out there but in my short time driving it, including one round-trip to work on highways it has only averaged 12.8 mpg. It is rated at 12-city and 17-highway. None of this is acceptable today, even with gasoline back down to two bucks a gallon. So here's a challenge to light truck engineers everywhere. Design a half-ton pickup truck that weighs no more than two tons, rides acceptably empty or full, can tow up to 10,000 lbs., returns a minimum of 18-mpg city and 25-highway, and does not cost anymore than todays pickups. Don't tell me it cannot be done, just do it. Waiting in my driveway when I returned from a trip to L.A. was a 2008 Chrysler Sebring Convertible, the very car that Jeremy Clarkson of The Sunday (London) Times named the "worst car in the world." I won't go as far as Mr. Clarkson did but the Sebring Convertible is one of my least favorite cars. Past model years, although no better mechanically, were good looking. Something went wrong when Chrysler redesigned the Sebring Convertible. I think part of the problem is that Chrysler decided the Sebring should have a folding hardtop option. This meant that there had to be enough room to fold that hardtop into, which means the top storage area is large and the top itself is relatively small. To me the top looks like a guy with a big head wearing a too small bowler hat. The other negative to the hardtop convertible is that the trunk is reserved for the top, not luggage. So even with the soft tops, the trunk is off limits if the top is down. The Sebring Convertible is one of the least satisfying cars to drive. Everything felt like it was connected with rubber bands; nothing was precise. By far the biggest complaint is the noise - I expect wind noise in a convertible so that was not the problem. The power steering moaned when turned at rest or very low speeds, the engine sounded like a sick cow under normal acceleration and it made a lot more noise than it's progress would suggest. Way back in 1999 the very first car I reviewed for the Pacifica Tribune was a Chrysler Sebring Convertible. Although it was obviously not aimed at "car nuts" but more towards rental fleets in sunny climes, it was not a bad car for the price. Its style was way above its price range, which made up for most of its shortcomings. At $31,000 the 2008 Chrysler Sebring Convertible is still priced right. It is too bad that its shortcomings now overtake the price. Out of a Nissan Altima and into an Infiniti M45S, now that's a great progression. It's been a couple of years since I last drove a M45; it hasn't changed all that much - still a wonderful car. The "S" is for the Sport package, something I could probably live without but it is nice to drive a large (relatively) sedan that handles this well. The M45 is a rear-wheel-drive car (a AWD version is available) competing directly with BMW, Jaguar, and M-B. In fact when I first drove a M-series I thought, "This is what the new Jag should be based on." The 4.5-liter V8 makes ample power and torque - I'm sure that more could be produced with little trouble. Four adults will fit in comfort; five can fit easily. If you're looking for an uplevel, sports sedan, one with an excellent record of reliability and panache, and you've got $50,000 grand or so to spend, you would be hard pressed to find a better ride than an Infiniti M45S. I'm back in a press car. On Wednesday, November 5, 2008, a 2009 Nissan Altima Hybrid was delivered to my house. I drove a 2008 less than a year ago and there isn't really any big change; it's still a great car - a roomy, mid-size four-door sedan (Anyone else remember when the Altima was one tiny step above the Sentra?) that gets up to 35-mpg in the city! A 2009 Altima Hybrid starts at $26,650, compared to $19,900 for a base Altima. It's hard to do an exact comparison because the base Hybrid is no stripper but it looks like there is about a $5,000 premium for the Hybrid (+/-). Even if fuel were $3.00 per gallon, which it is not right now, you would only save about $165 per year with the Hybrid. I don't want it to seem like I'm knocking Hybrids, they are a great step forward in reducing one's carbon footprint. Just do not buy a Hybrid because you want to save a few bucks on fuel. The pay back will be years. On the other hand, if you can afford the extra five-grand, you will do this planet a big favor and you'll end up with a very nice ride too. I really can't say enough about most Nissan products. For some reason Nissan seems to get lost in the shuffle. Nissan builds some of the most satisfying vehicles available - cars and trucks with great engines, top notch appointments, superb handling and reliability - yet they continue to struggle to find their market. If you enjoy driving, and you need room for the family, a four-door Nissan should be on your short list. It happens every now and then, even to me. I do not have a press car to drive. So what is Bruce driving? My 1986 Toyota Celica, the most reliable car on the face of the planet in my humble opinion. I bought the Celica well over two years ago for $400. Since then I've performed routine maintenance and replaced one part. I've driven it about 15,000 miles. It gets 30 mpg on the highway, always starts, has a good heater and air conditioner, and a decent stereo/cd player. It is not pretty; the paint is faded, someone backed into the hood before I got it and the replacement is not the same color, and someone backed into the left rear quarter panel shortly after I bought it so there's a good size dent there. But I can leave it sit for months on end and it will always start. Is there really anything more I need? You have to feel some sympathy for Nissan and Toyota. For years they built the best small pickups out there, leaving the full-size pickup market to Dodge, Ford, and GM. After watching the full-size market expand more and more each year, Nissan Toyota decided to jump into the pool only to have the market nose dive to unprecedented depths within months of their trucks coming to market. The Nissan Titan beat the Toyota Tundra to market and when it first came out I pronounced it the best full-size pickup in ride and handling. Then the Tundra arrived and it edged out the Titan. Then the market collapsed. Let me say this about the Tundra – it is by far the best full-size pickup truck ever made and it was introduced at absolutely the worst time. Toyota does not often lose money on a model but you can bet your bottom dollar it lost a ton on the Tundra. Having said that, let me say that if you need a full-size pickup you should head over to your nearest Toyota dealer and check out the 2009 Toyota Tundra. The lowest list price is around $23,000 but I'm betting you can make a deal. 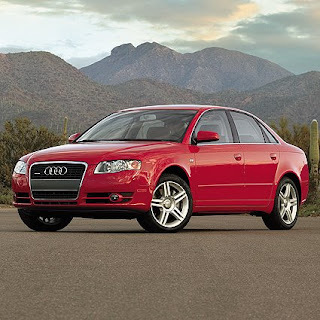 The base engine is a 4.0-liter V6, with a 4.7 or 5.7-liter V8 optional. Fuel economy, even with the V6 (15-city/19-highway), is not great (which is what killed the market). Towing capacity goes up to 10,500 lbs. Like all Toyotas, a Tundra will last a long, long time. Oops, I’ve fallen behind in keeping you abreast of what I’ve been driving. A couple of minor operations threw me off schedule. So to quickly bring you up to speed, here is the car I’m in right now and the one just before it. Right now I’m in a ’09 Toyota Corolla, a very nice compact 4-door sedan with a 1.8-litre, DOHC, 4-cylinder engine and a 4-speed automatic. The transmission works well, and the Corolla gets fantastic mileage (27-city/35-highway), and a 5-speed auto is available on the Corolla XRS that has a larger engine, but 4-speed autos seem so yesterday. The Corolla is rated as a five-passenger vehicle but let’s face it, four adults will fill it. The ’09 is completely differently than the ’08 but it looks very similar. Riding and driving is very much Toyota, meaning it is good but not great. Everything works as intended but a Corolla is not the type of car that lights a fire under you. If you need a dependable, good-looking, economical, and reliable car, there is nothing better than a Corolla. I had an interesting conversation with my brother about the Corolla S. Domestic auto makers decry that they cannot sell a "premium" compact vehicle and make money. Somehow Toyota (and Honda) seem to be able to sell premium compact cars easily. The Corolla S that I drove was a very well-equipped car. I told my brother that I thought that although people are getting more aware of fuel economy, that they do not want to give up the luxury touches. So they are willing to spend a little extra for power windows, cruise control, a sunroof, or a good sound system. What do you think? The ’09 Corolla starts at $15,350 going up to $19,829 for an LXE. Options will take it higher. Just before the Corolla I drove a ’09 Honda Accord Coupe with a 3.5-liter, DOHC, 271-hp V6 and 6-speed manual transmission. Outside of coupes having limited appeal to me because the back seat is not easy for older adults to get in and out of, the Accord was a blast. Honda arguable makes the best V6 on the planet – smooth, powerful, high-revving, and efficient. The transmission was spot on – I never grabbed the wrong gear. I wouldn’t call the Accord Coupe a sports car; it is more a Gran Tourismo. It handles very well but as far as I’m concerned its forte is fast, comfortable traveling, not canyon carving. The Accord Coupe is not cheap, it lists at $28,805 and the one I drove was over $30,000, but it was an extremely well-equipped car. Honda says it will get 17-city/25-highway, which sounds about right although I got just around 26 on the highway. General Motors is in turmoil these days. Those trucks and SUVs they were selling in big numbers and at big profit have quickly gone out of fashion as fuel prices skyrocketed. For whatever reasons the car buying public just isn’t flocking to the GM cars. Pity. This week I’ve been driving a ’09 Chevrolet Malibu LTZ. The Malibu is equivalent in size to a Toyota Camry. I won’t get into the naming game too deeply. It seems to me that the name Malibu was chosen more for its cache than for any other reason. The Malibu is within spittin’ distance of being the same size of the Impala. The Impala used to be the BIG Chevy while the Malibu was the mid-size model. But let’s get down to the details. Regardless of size, the Malibu is a very nice car. In many ways, although they do not compete, I found the Malibu to be a better car than the Pontiac G8 GT I drove just before the Malibu. The Malibu is roomy, and well made with attention to the fit and finish. The Malibu is a front-wheel-drive car and the LTZ is not by any stretch of the imagination fast. It is powered by a 2.4-liter, DOHC, 4-cylinder that makes 169 hp. It is coupled to a 6-speed automatic transmission. Outside of a rather wimpy sound this is a first rate engine. Overall I was very impressed with the Malibu LTZ. It’s roomy, comfy, economical (33 highway mpg) and it looks more expensive that it really is. The LTZ is available for under $30,000, the car I drove was around $32,000, and for my money, even though I love performance cars, the LTZ is a far better deal than the Pontiac G8 GT. If GM really wants to establish itself as a company that builds high quality, economical, satisfying cars it needs to tout cars like the Malibu. This car could be the future of GM. Got into a Pontiac G8 GT today, kind of a four-door GTO. It's a rear-wheel-drive sedan, a rarity at GM. Responsive, powerful (361 hp) 6.0-liter V8, with a 6-speed automatic transmission. The suspension is independent at all corners. I haven't been in the back seat yet but it looks pretty roomy. The driver's seat is comfy and it holds me in place. But I already have some nits to pick. First is the name, "G8." Does anyone know what the heck G8 stands for? Pontiac has a slew of good, respectable, powerful, model names and the best they can come up with is G8? 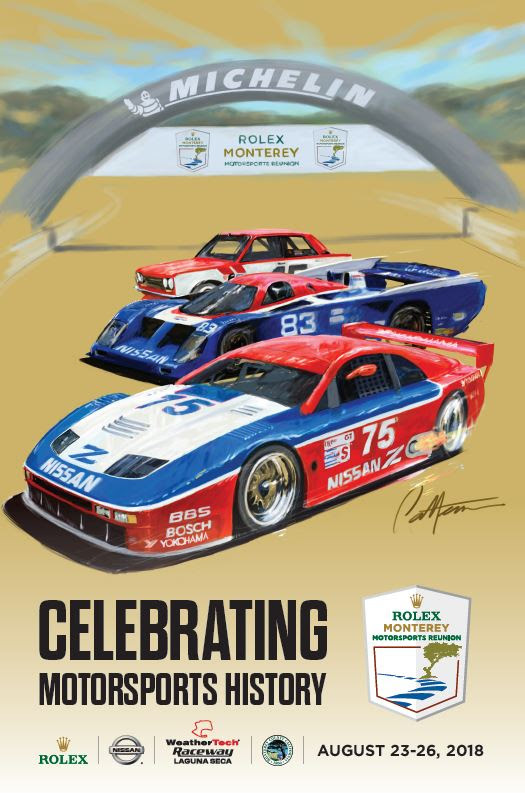 When I was a kid everyone knew what a Grand Prix, Bonneville, Catalina, GTO, LeMans, etc. This "G" series stuff is completely forgettable. Then there is the fit and finish. The two outer dash vents (they are actually on the doors) look like they were installed by two different people - the one on the left fits tight at the top while the one on the right has an uneven gap of almost an eighth of an inch. Now this may seem like a little thing, but if you don't sweat the small stuff it matters. I drive a lot of cars and I think it's been a long time since I've driven anything this costly ($32,000) that did not have at least an auto down driver's window. The G8 has auto down windows, but they are the most onery buttons I've ever encountered. I drove the G8 GT for three days before I could get it to work, and even then it was hit or miss. One more nit and this is a personal preference thing. Instead of having a Navigation system, GM uses OnStar. You can call OnStar and they will give you "turn by turn" directions. If I wanted my mommy to know where I was going, I'd tell her. I'd really rather use an anonymous computer generated voice. If you see some gray haired guy driving around in a bright yellow convertible, that’s me. This week I’m in a Saab 9-3 2.0T Convertible. That stands for 2-liter turbocharged. It’s a nice car but convertibles aren’t really my cup o’ tea. I found one confusing feature on the Saab. It has an automatic climate control – I just love them because I just set it and forget it – but it seemed to stop working and I couldn’t figure it out at first. Normally, once you've selected “Auto” it stayed that way but all of a sudden on Saturday the a/c turned itself off every time I turned the engine off. It was driving me crazy. Then I figured it out; when the top is up, the auto feature works just fine, the a/c is always on. When you put the top down, the auto feature is deactivated. Why Saab? I like a blast of cool air on my face even when the top is down. I haven’t decided if I’ll write a full review of the Saab yet. Nice car, expensive though ($40,000+).